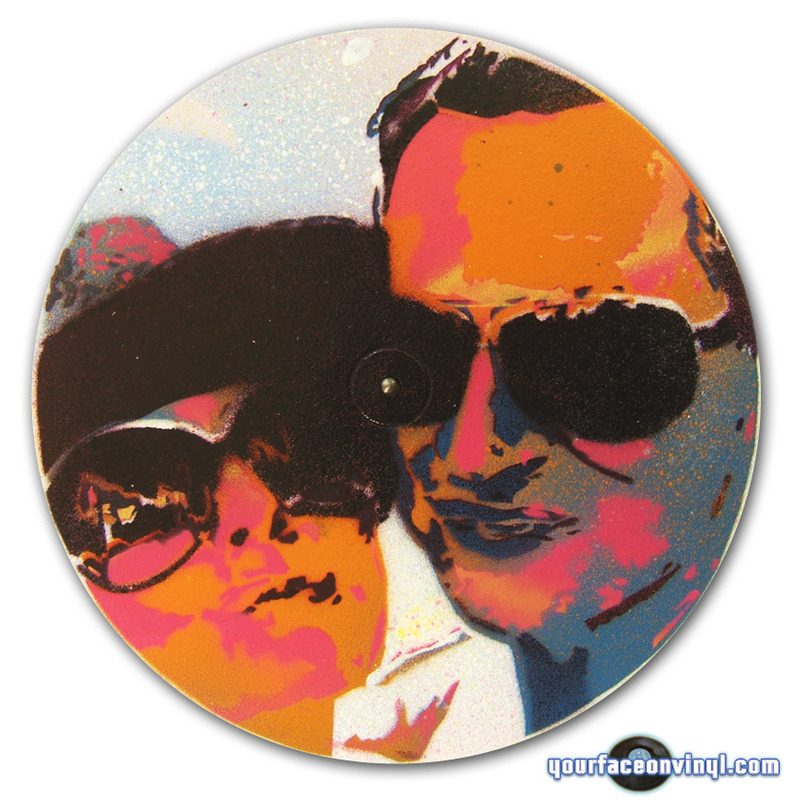 Realistic Stencil art portrait of Dog on 12″ vinyl record with pink purple background colour. In this photo you can see the preview image that were sent to the customer for approval alongside the finished product. The stencils of dogs were made as a portrait art birthday gift. They were completed within 2 weeks and sent back to the customer with express international shipping option (2-5 days delivery time). They were completed by myself Vinni K, in Bangkok, Thailand and shipped to the state of California, USA. What would you like to see turned into a stencil next? Why not drop me a line and suggest a new line of custom vinyl art pieces. 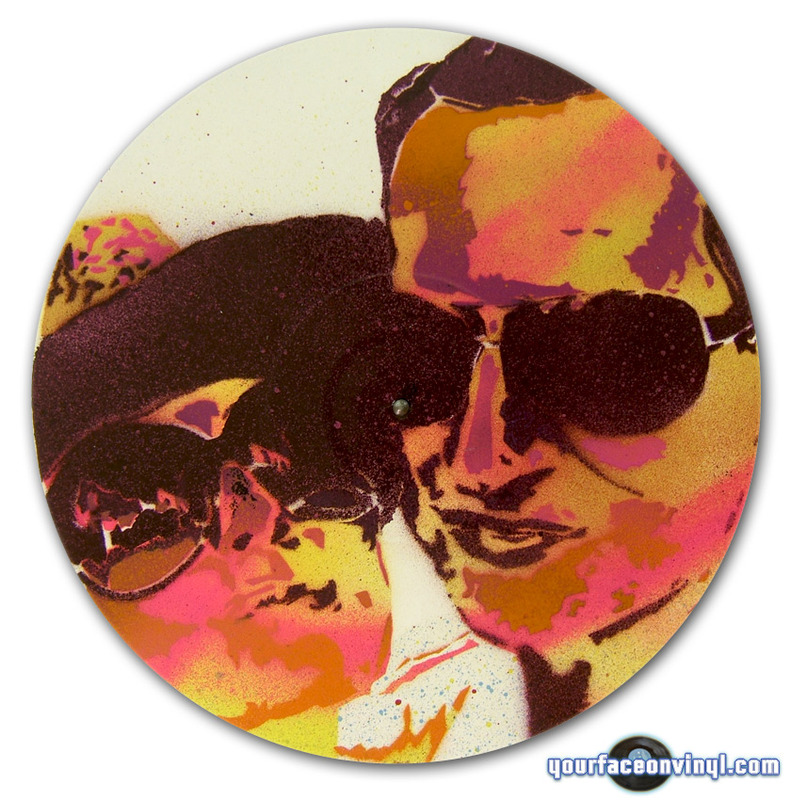 New video of 2 dog portraits stencil on vinyl record with pink purple background colour. 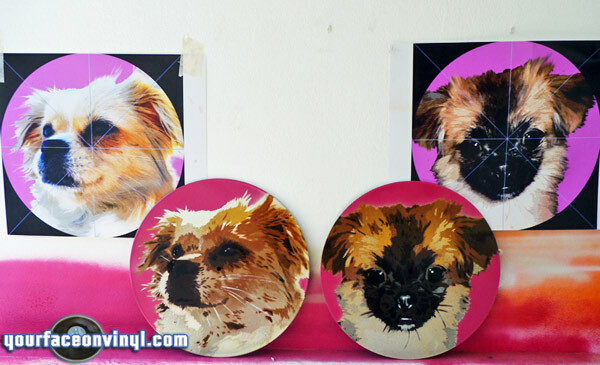 This video is of a recent order in May 2012, The client requested 2 separate portraits of dogs on vinyl records with a pink / purple background color. 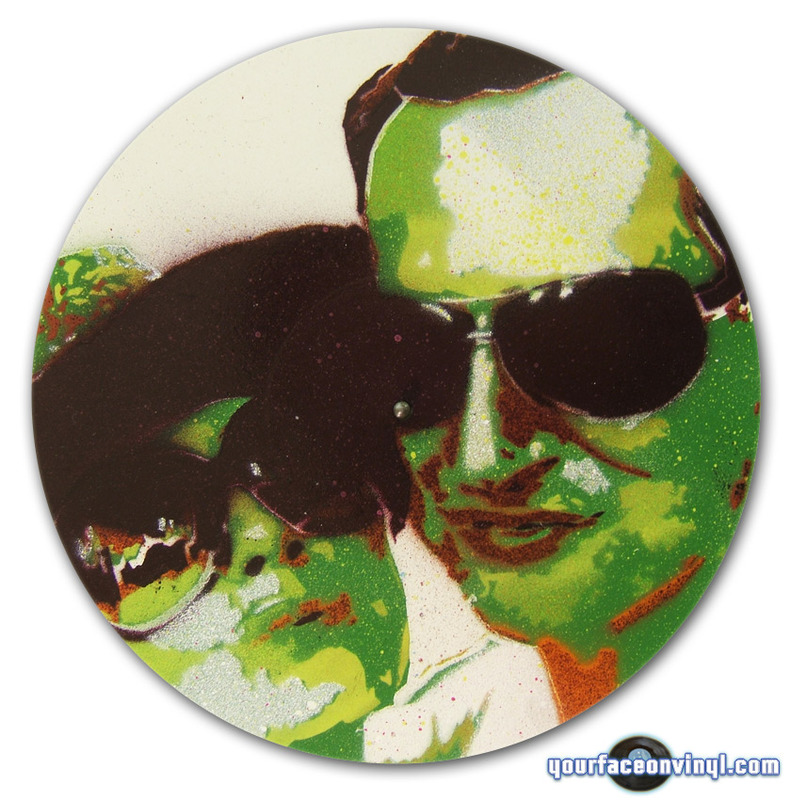 Together with fully working to customer photos and making a truly realistic stencil art piece this could be possibly the ultimate art gift. For information about ordering please visit the store. This video shows the process of spray painting a multi layered street art stencil of a dog. Your feedback is appreciated. 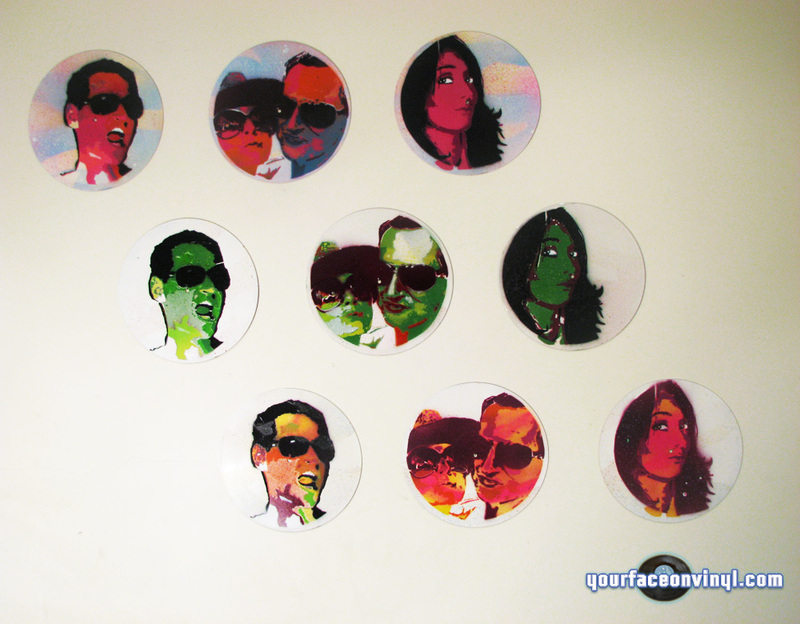 To find out more about your face on vinyl please visit the about us page.